The college football season is one of the most grueling and challenging in all of sports. Young men are pushed to the limit both physically and mentally as they trek through a 12-game regular season schedule, while also pursuing a degree in the classroom. It is for this reason that college football is so unpredictable. Big stars can disappear in a heartbeat due to injuries, off-the-field problems, or any number of other issues. 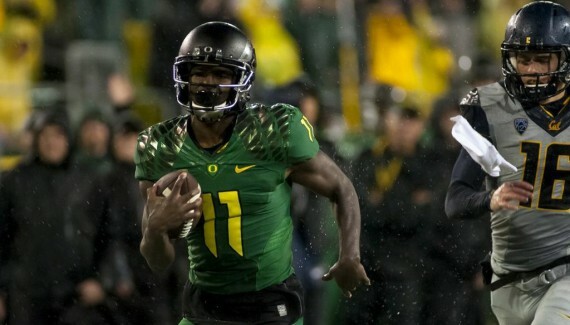 Unfortunately, Oregon learned this the hard way this off-season, as rising star wide receiver Bralon Addison is likely out for the entire 2014 season with a torn ACL. While Addison’s injury is, of course, first and foremost a shame for the junior playmaker on a personal level, it also greatly shakes things up for the Ducks as a team, especially while already dealing with the loss of veteran receiver Josh Huff. 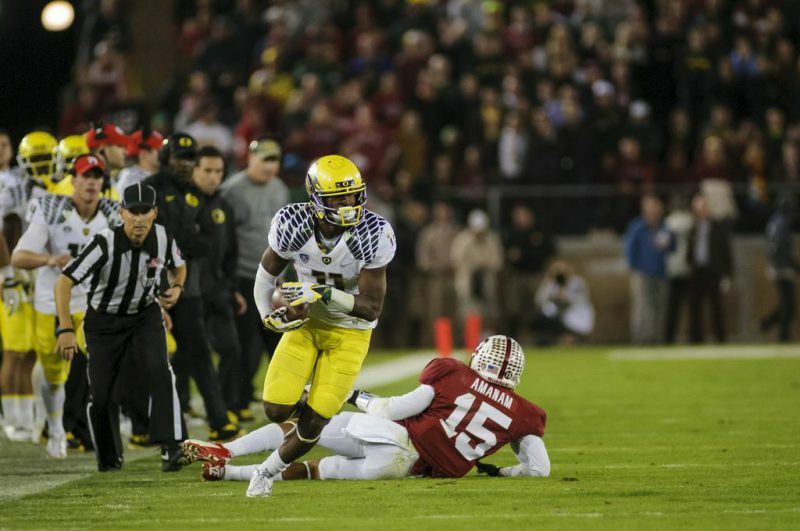 Still, the Ducks have overcome significant losses in the past. In fact, most Duck fans have come to expect it, based on the events of the past five or six seasons. In 2009, starting running back LeGarrette Blount, a thousand-yard rusher in 2008, was suspended for the season (though that punishment was eventually reduced) after the team’s opening loss to Boise State. In 2010, quarterback Jeremiah Masoli was suspended for a season due to an off-season incident, and elected to transfer to Ole Miss for his final year of eligibility. Cornerback Cliff Harris, at the time one of the best defensive players in the nation, was dismissed from the program due to a series of unfortunate decisions off the field in 2011. This misfortune continued in 2012, when both John Boyett, the veteran leader of the defense, and Carson York, arguably the team’s best lineman, were lost for the season due to injuries. While these losses no doubt felt like the end of the world at the time, looking back, they seemed to work themselves out quite nicely. This is not to belittle the serious nature of injuries or off-the-field problems, but merely to point out that the Ducks have become experts at fixing roster dilemmas. Blount was replaced by an undersized redshirt freshman from Texas by the name of LaMichael James who went on to obliterate the school’s all-time rushing record in only three seasons in the offensive backfield. 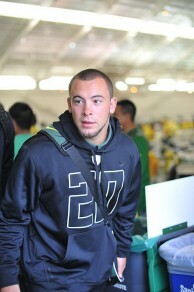 In 2010, Masoli was replaced by Darron Thomas, who beat out Nate Costa for the starting job in summer camp, leading the Ducks to an undefeated regular season and a trip to the National Title Game. John Boyett missed nearly the entire 2012 season. 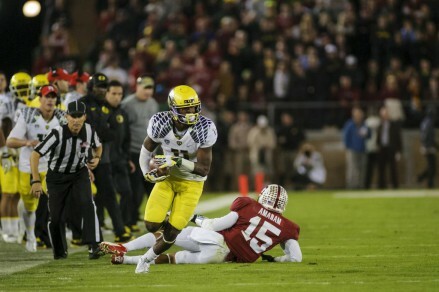 The dismissal of Harris opened the door for Ifo Ekpre-Olomu, who is now arguably the top cornerback in college football after recording 20 passes defended in 2012. One of the most physical defensive backs around, the senior-to-be will likely be a first-round selection in the 2015 NFL draft. Meanwhile, Boyett’s injury gave Avery Patterson a chance to shine. Patterson recorded three defensive touchdowns in his two years as a starter, and nearly had a fourth had he not been tackled inside the 5-yard line on an interception return against Arizona State in 2012. So, who will step in to replace Addison’s production in 2014? All signs seem to be pointing to true freshman Jalen Brown. The highly-touted recruit from Phoenix, Arizona, has enrolled early at Oregon, and is already earning praise from his position coaches and teammates. Watching Brown’s high school highlights, it becomes evident that he is a technically sound player, which is usually something that takes time to develop at the college level. This bodes well for the smooth route runner with sticky hands and a high football IQ. Brown could easily follow in the footsteps of Huff and Addison and receive significant playing time as a true freshman. Huff caught 19 balls for 303 yards and three scores during his freshman year in 2010, while Addison hauled in 22 catches for 243 yards and three touchdowns in 2012 during his first year. Brown could certainly meet and even eclipse those numbers given his advanced skill set and notable agility. Other candidates to replace Addison are redshirt freshmen Devon Allen and Darren Carrington, along with the more seasoned B.J. Kelley, Dwayne Stanford and Chance Allen. However, aside from Allen, these receivers all have bigger frames, and are therefore more likely candidates to replace Huff rather than the smaller, quicker Addison who ran more short routes than Huff. While Brown is the favorite of many to win a starting job, the Ducks clearly have no shortage of talent at wide receiver, and while the loss of Addison remains unfortunate on every level, Oregon’s track record of overcoming injuries bodes well for 2014.